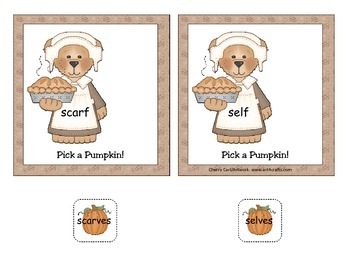 The Pilgrim Pie bear is at it again! 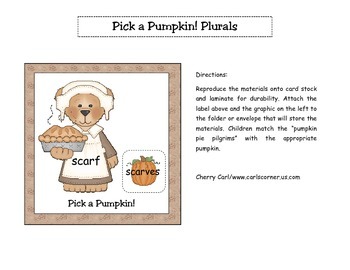 She has a singular noun on her apron and she is looking for the plural form of the word on a pumpkin. Many of the nouns in this activity are irregular nouns, like tooth and teeth and child and children. This is easy to asemble and ready to use!